An operating system update like this Friday’s release of Mac OS X Snow Leopard is a perfect time to clean up your computer and start fresh. Let’s prepare your Mac for this weekend’s 10.6 upgrade. To install Snow Leopard, all you need is the $29 Snow Leopard DVD, no matter what Apple says about the Mac box set. You do, however, do need an Intel-based Mac. you can either go from Leopard using the $29 Snow Leopard upgrade disc ($5 off at Amazon), or go from Tiger using the $169 Mac Box Set ($20 off at Amazon). Here’s Apple’s full set of system requirements. 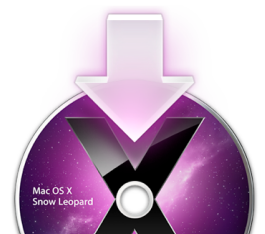 In short, there are two ways to get Snow Leopard on your Mac: upgrade and install over Leopard, or wipe your hard drive clean and start from scratch. Yes, you’re right–post corrected. Sorry about the confusion! The Leopard upgrade disc just checks for an existing 10.4+ installation when you boot from the disk, but you can still run Disk Utility to erase and/or repartition the drive before installation. I’d assume that the Snow Leopard upgrade will work similarly. It may be *technically* possible to install of this $29 DVD since they just priced the same CD differently. But the reason they did so was because they have an expectation that people will abide by the license agreements – binding contracts. I find it amazing that Apple has put such trust in people and in the honor code to do such a thing, and I really wish it was made more clear that this is the case.